By Xah Lee. Date: 2011-10-27 . Last updated: 2019-02-28 . To understand the history of lisp machine keyboards, you must know some history of lisp machines. 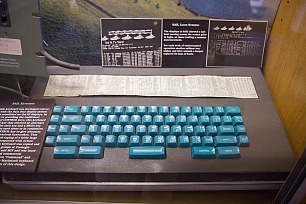 Lisp Machines are computers (hardware) designed to run lisp programing language efficiently. ~1974. CONS machine. First lisp machine. At MIT. Uses Knight keyboard. ~1978. CADR machine. 2nd generation of CONS. 25 prototype were sold. Uses Knight keyboard and later Space-Cadet Keyboard. 1981. 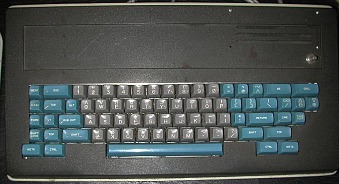 Symbolics LM-2, by Symbolics Inc. Commercial version of CADR. About 100 are made. 1981. LMI-CADR, commercial version of CADR by LMI (LMI is Lisp Machines Inc). 1983. LMI-LAMBDA (about ~200 sold). Symbolics 3640, xl1200, MacIvory, and others. Lisp Machine pretty much stopped in 1990, due to, onset of Personal Computer that are cheaper and faster, and “AI Winter” (industry's failed expectation of AI research). This model comes after the PN 364000, and is compatible to it. 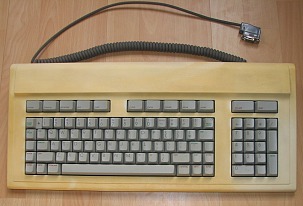 This is used in Symbolics 36xx series, perhaps around 1985. 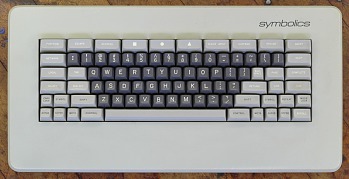 This keyboard is for Xerox 1109 lisp machine. Year ~1982.